All Photos Provided by Urban Decay. Urban Decay Eyeshadow Primer Potion Professional Size has 25ml (0.85 fl. oz.) of product. 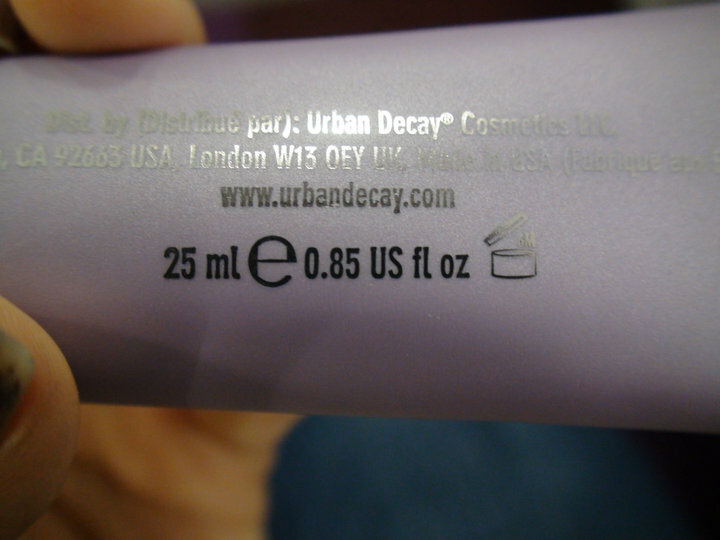 Compared to the original Urban Decay Eyeshadow Primer Potion, which only has 10ml (0.34 fl. oz.) of product, it is a lot bigger. Just noticed there's a "Expires 6 months after opening" logo at the back of it. The packaging is definitely better than the original bottle since you don't have to cut it open to get the excess trapped in it but for the size of it, I really doubt anyone can really finish it within 6 months. This is currently available at Sephora.com for USD $29. Can Su:M37° Secret Essence Replace SK-II Facial Treatment Essence?